You are here: Home › Stayfitcentral Health & Fitness Blog › Health & Fitness Blog › Buyers Guides › The Best Creatine Supplement For You! The Best Creatine Supplement For You! Finding the best creatine isn’t easy. There are thousands of different products for sale that claim to be the latest and greatest on the market. Unfortunately, many of the claims supplements companies make about their creatine aren’t supported by research or real world results. Years of trial, error, and a lot of money have taught me this cold hard truth. Instead of continuing on this frustrating path I decided to learn exactly what makes a creatine supplement the best. After reading hundreds of research articles and trying dozens of products I was able to decide which creatine supplement is the best. In the final analysis, Betancourt Nutrition Micronized Creatine Monohydrate – 525 grams is the best creatine supplement overall. Keep reading to learn what makes it great. Since people have different needs, I also researched and chose the best bulk creatine supplement, creatine capsules, creatine-protein powder. Here’s the criteria I used to make my selection. The supplement chosen must only use creatine monohydrate! This is the only type of creatine that’s repeatedly proven to work in hundreds of scientific studies and millions of personal testimonials. This also means. 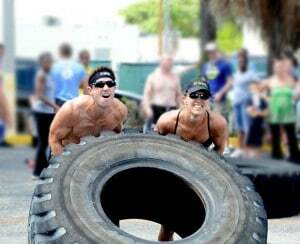 No products containing creatine ethyl ester (CEE), liquid creatine, or creatine HCL (i.e. Con-Cret). Study after study, after study shows they are a waste of your hard-earned money. It must tested to ensure purity.The products in this article are all tested to be free of impurities so you know every scoop contains pure creatine monohydrate and nothing else. Each serving must contain at least 2.5 grams of creatine monohydrate. This is the minimum amount you can take daily and still experience benefits. Anything less will never produce noticeable results. No bogus ingredients. This creatine supplement cannot contain any fillers, sugars, or other ingredients that only are often used in lower quality products. The price must be right. The best creatine supplement also needs to be sold at a reasonable price. Every serving you drink is made in Betancourt’s manufacturing facility in the United States. Betancourt’s production labs are GMP facilities which means that they follow the FDA’s regulations for supplement manufacturing. Additionally, every batch of creatine is tested before and after it’s put into the canister you’ll buy to ensure it’s free of impurities or potentially harmful ingredients. Most companies use creatine from China that may or may not be tested by the manufacturer so you can never really know if what you are taking is what’s on the label. While it’s purity and quality are what makes this the best creatine supplement great, there are several other reasons to make it your choice too. It’s micronized. This means it’s ground into a very fine powder, making it dissolve in water much easier than regular creatine. This also makes it easier to drink and ensures none is left stuck to your glass. Maximum value. Every canister provides 105, 5 gram servings. Even if you take it every day, it’ll last for 3 months. The price is right. At only $.14 per serving ($4.20/month) you don’t have to worry about it breaking your budget. Click here to learn more about buy Betancourt from our online store. Below are 3 more creatine monohydrate supplements that deserve to be on this list. While they may not be the best overall, each has its own unique benefits that make it worthy of inclusion. This includes the best overall value (quantity and price), the best creatine capsules, and the best protein powder with creatine. This is the best creatine supplement if you know you’re going to take it regularly. As you’ll learn, every canister will last a long, long time. Every 2000 gram container gives you 400, 5 gram servings of pure creatine monohydrate. A single tub will you well over a year, even if you take it every day. This saves the hassle of remembering to reorder every month and ensures your muscles stay loaded and that you perform and look your best all year long. Every serving has the required 5 grams and it’s micronized creatine too. This means the already fine creatine powder is ground into an even finer powder. As a result, every serving will dissolves completely in water. This makes it easier to drink and ensures that the creatine you take gets into your muscles and doesn’t stay stuck to your glass. I also like that it doesn’t have any flavor or gritty texture when it’s dissolved in water. Since it’s flavorless you can add it to water, juice or a protein shake without it changing the drinks taste. Optimum Nutrition doesn’t use any old creatine monohydrate powder either. They only use Creapure, the brand of creatine thats is manufactured and tested to be free of worthless impurities. The price for Optimum Micronized Creatine Monohydrate is right too. A 2000 gram container has a cost per serving of just $.14. So, in addition to lasting for a year and using the purest creatine monohydrate available, it won’t break your budget either. Click here to learn more and buy Optimized Creatine Monohydrate – 2000 grams. Sometimes mixing and drinking your creatine isn’t what you like to do or always convenient. This is especially true when you’re at work, school, or away from home. In these and other instances, capsules are the best choice. 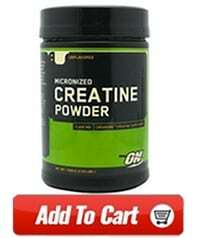 In this case, Optimum 2500 Creatine Monohydrate is the best creatine supplement. Every serving gives you pure creatine monohydrate in a dosage that doesn’t require swallowing a handful of horse pills. Here’s a breakdown of what’s in every serving. An effective dose in every serving. With 2.5 grams of creatine in just 2 capsules you’ll ensure your muscles stay loaded with creatine and you reap the benefits without choking down a bottle of pills at a time. 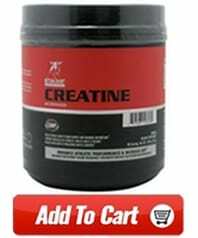 Creapure brand creatine. Every batch is tested before and after bottling to ensure a pure supplement. Low price. Only $.22 a serving. One bottle lasts and lasts. If you’re taking the normal 5 grams a day, it last 75 days. 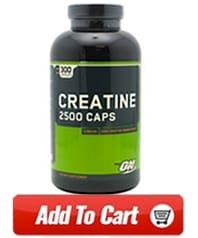 Click here to learn more and buy Optimum 2500 Creatine capsules from our store. Hydrobuilder is the best creatine supplement if you also drink protein shakes regularly. Every serving contains 5 grams of creatine monohydrate and 30 grams of protein from casein, egg, and whey. It’s also low in carbohydrates with 8 grams total and only 2 from simple sugars. Also added to every shake are branch chain amino acids, citruline, glutamine, and other muscle building and performance enhancing nutrients. Hydrobuilder is available in chocolate, strawberry, and vanilla flavors. I’ve tasted each flavor and like them all. Chocolate is my personal favorite. Hydrobuilder mixes easily in water with a spoon or shaker bottle so you don’t have to hassle with a blender to make a shake. 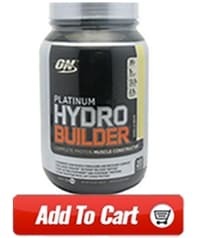 You can buy Hydrobuilder at our online store. Now you know the best creatine supplements for every possible need. Instead of spending hours online searching for the best product all you need to do is choose the best one from the list above for your needs, click on it’s link and get started toward achieving your goals. Is There A Difference Between Creatine Monohydrate And Micronized Creatine?